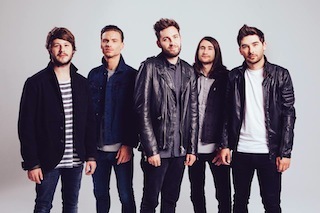 You Me At Six stunning new album, Cavalier Youth entered the UK Album Chart yesterday (February 2nd) at number 1. The pop/rock quintet made their first UK album chart appearance with their debut LP Take Off Your Colours, which reached number 25 in 2008. Hold Me Down, the band's sophomore album got to number 5 in 2010 and 2011’s Sinners Never Sleep charted at number 3. You can now stream Cavalier Youth in its entirety below.